Nasi lemak is one of favorite breakfast in Riau. 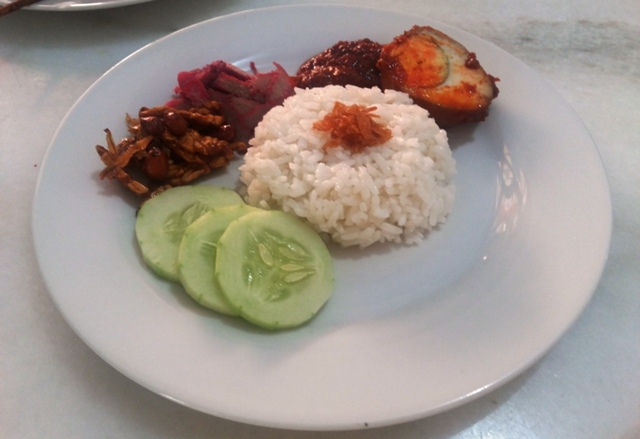 Nasi lemak is rice that cook with coconut milk and serve with various kind of side dish. Last nite, my lil brothers asked my mom to make nasi lemak like he often eat when was at primary school. Today is national holiday, so we can enjoy this dish all day.. there were a lot of kind of nasi lemak depend on each area. The one my mom made is nasi lemak from Riau, the simple one i think only serve with egg, cashew meat, some anchovies-peanut-tempe, and cucumber. 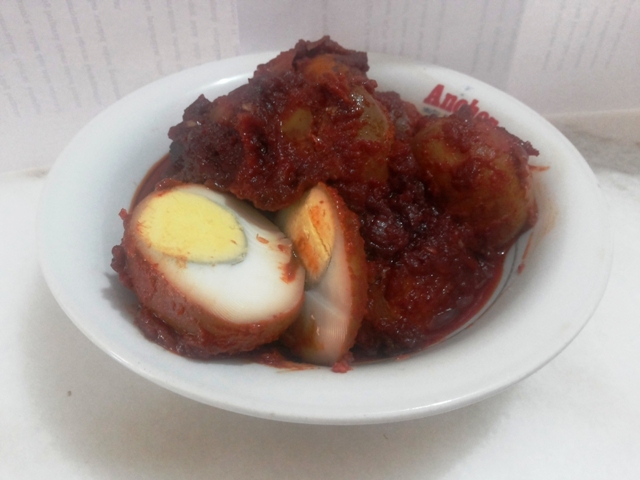 Another nasi lemak I've know is from medan that serve with more kind various side dish like fried chicken, vegie pickle, potato chips, and others. Today i ask my mom for the recipe,but i cant got exactly measurement from her. she is traditional cook, cook by her experience, feeling and sense of taste. but she can make the best dish..
2. move to steamer. steam until well cook. 1. Braised boiled egg with water, soy sauce and garlic. put a pinch of salt. cook until the water dry. 3. add chili, some salt , msg and sugar. Stir and cook until aromatic. 4. Pour into braised egg. 1. 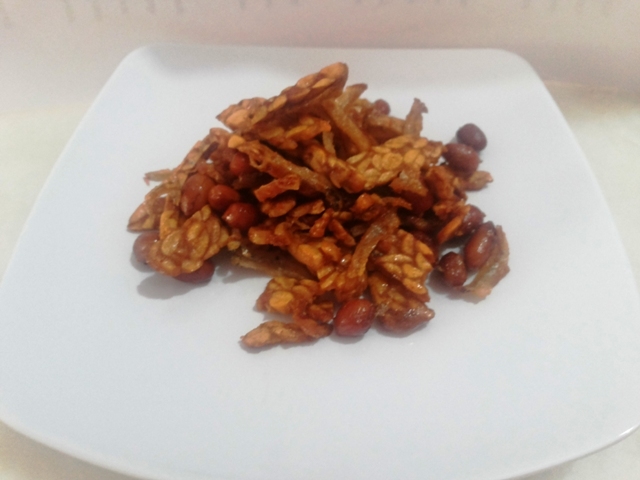 Fries anchovies, peanut and tempe. 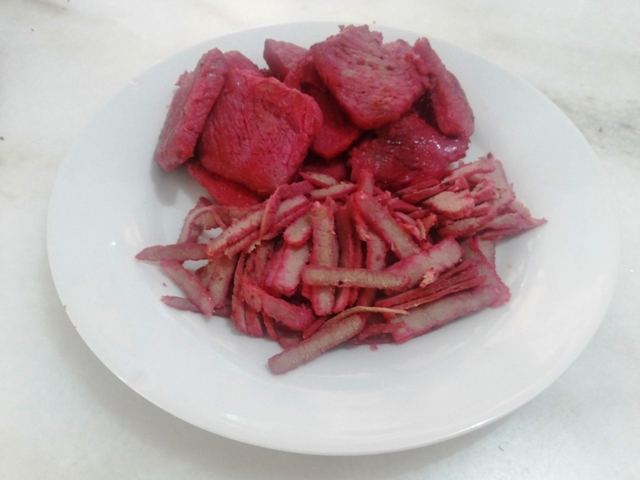 This all the main dish and side dish of nasi lemak made from. you can see that all use simple ingredient but a lil bit more step to do. How To serve. Just combine what we want. and this is mine. look delicious..